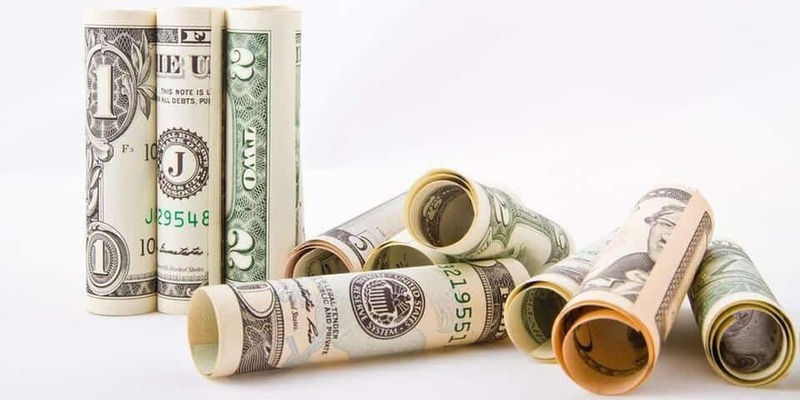 Money is one of the main reasons why people get involved in drop shipping business. 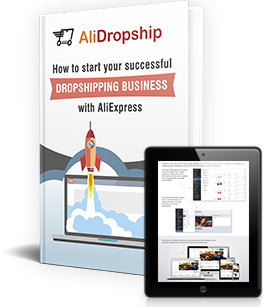 Entrepreneurs get ready-made drop shipping stores and promote them to attract more customers because they want to receive more orders and to get their awesome profits! But how do you actually get the money? All the operations happen online, and your customers from different parts of the globe don’t pay for their orders in cash. Let’s understand how you can PHYSICALLY get your money from drop shipping with PayPal, 2Checkout and Stripe! 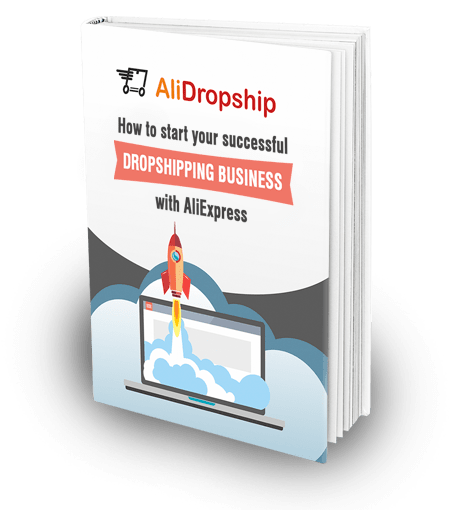 Basically, it all works the following way: to accept payments from customers who order something from your drop shipping store, you need to integrate a special system into the webstore. 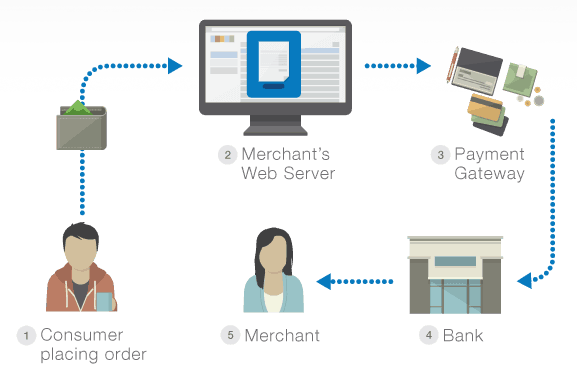 Online payment processing gateway. Such gateways provided by major systems like Stripe, 2Checkout, etc. allow you to accept credit card and debit card payments on your website. If your drop shipping store covers the global audience, it’s a good idea to get BOTH PayPal AND credit/debit card processing service integrated on your website. Our own experience proves that it’s a winning strategy. The reason is, you can’t be 100% sure which method is more convenient for your buyers. Not all of them have a PayPal account, so they only can pay with a credit/debit card for their orders. And for others, it is important that PayPal provides some additional guarantees that might be important for the buyers’ protection. Long story short, it’s better to get both of the payment gateways integrated. Actually, this is the world-class standard for e-commerce: if you can accept both PayPal money transfers and credit/debit card payments, you maximize your potential profits and, at the same time, show that you really run a serious and trustworthy business. In our experience, the most convenient combination of the payment gateways on a drop shipping store is PayPal plus Stripe, but of course, for your store, for your country and for your target audience it can be a different combination. What is PayPal and how can I use it for drop shipping business? It makes online shopping really easy both for the buyer and for the seller. There is no wonder, then, that as of June 2017, PayPal operates in 202 markets across the globe and holds 210 million active accounts. Quite obviously, it also attracts businessmen – according to the company’s stats, 7 million businesses around the world use PayPal as a preferred payment solutions. If your drop shipping store supports PayPal, then your customers will have no troubles making a purchase. They will be able to make a payment in a couple of clicks, and you, in turn, will quickly get their money at your own PayPal account. So, what do you need to do if you want to get registered in PayPal system? You simply need to go on the company’s website and select the type of account you’d like (Personal or Business). Here you can read what’s the difference between these types. For some countries, it is fine to only have a Personal account for your store, and for others it is required to get a Business account. Feel free to contact the PayPal team if you’re not sure which type of account to choose. To sign up and get a PayPal account, just watch this video and follow the step-by-step registration procedure. After you complete this simple registration process, you will get an email from PayPal confirming your account has been created and you can now safely use it. What are credit cards payment gateways and how can I get money from them? Let’s suppose your store visitor decided to pay for the purchase with the help of his credit or debit card. How can he do that? And how can you get the money from such cards? It’s all really simple: the payment gateway is an intermediary between you (the store owner), your customer, and the bank that issued your customer’s credit/debit card. 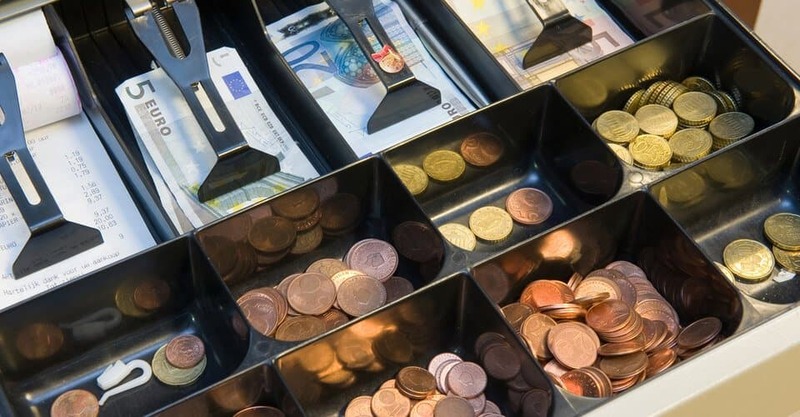 To pay for the order, your customers enter their credit card data on your website, and the payment gateway connects to the bank owning this credit card, and automatically takes the necessary amount of money from the customer’s personal account. Then, this gateway transfers the money to YOUR account, and that’s how you get paid. Probably, the most well-known online payment service providers are Stripe and 2Checkout: these companies help transmit financial information between your website and the bank. Here you can register in 2Checkout system to accept global online payments from your customers. Here you can register in Stripe system to accept global online payments from your customers. Please note that both of the systems have their own registration requirements, so it will take you some time to get approved and to start working with these gateways. How can AliDropship plugin help me get my money? So, let’s suppose you’ve successfully registered in the necessary systems, and you can accept both credit/debit cards and PayPal payments. What do you need to do next if you want to integrate these systems into your drop shipping store? 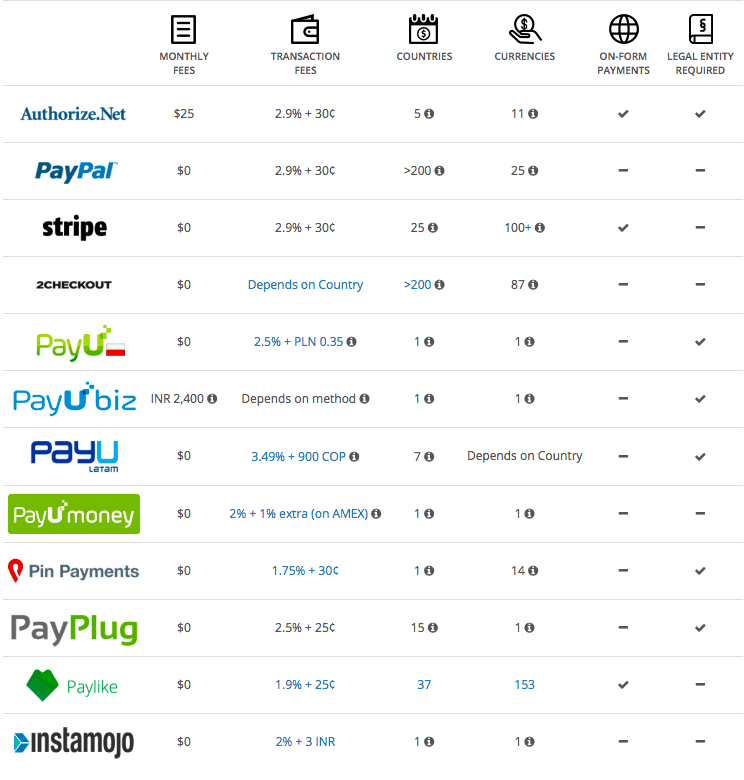 Look at the fields you need to fill in for every payment gateway. Most typically, the plugin will ask you to provide your account number or a secret code generated within the chosen system. Here you can read the step-by-step process of integrating PayPal option into your drop shipping store. To connect any other payment options, follow the same steps. And, if you use AliDropship Woo plugin, it all gets even simpler – WooCommerce supports nearly ALL the payment gateways existing on the planet, so you are able to easily integrate any gateway into your website. All you need to do is go on the WooCommerce official website and download the plugin that enables the chosen payment gateway. Okay, I connected some payment gateways to my drop shipping store, but how can I physically get the money? Well, now it’s time for the most interesting part. You’ve registered in PayPal and Stripe. You’ve used it to connect your payment gateways to your drop shipping store. You started receiving orders from your store visitors, and they started paying you through these payment gateways. You’re getting your electronic money and you’re wondering how to turn it into actual cash. It’s not rocket science, either! When you register in PayPal system and in Stripe/2Checkout systems, you are asked to write the number of your credit card or a bank account. The requirements depend on the system itself, and on your particular country. This exact credit card or bank account is the place where your money will come. 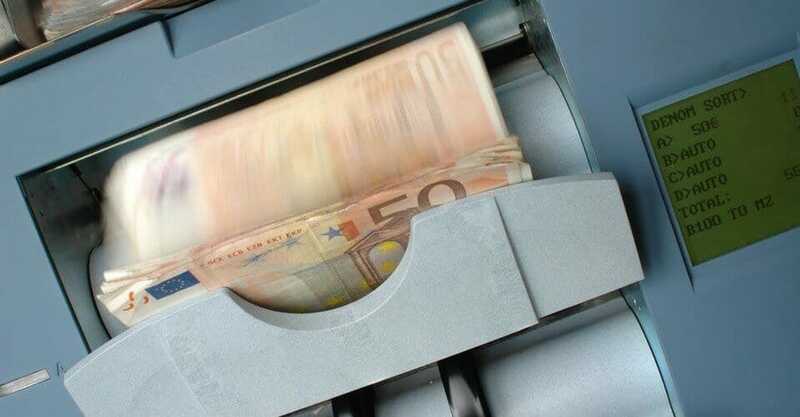 From here, you can withdraw your money and use the cash! Every gateway and every country is different. In some cases, it will take your money several days to be transferred to your account. Also, some systems have a minimal withdrawal amount – it means you can’t withdraw the money until there is a certain sum on your account. Don’t worry if you don’t see the money immediately after the deal! Carefully read the terms and requirements provided on the official website of your chosen payment gateway, and follow their instructions. Let’s go through the drop shipping process all over again! Please note: it’s possible that your buyer’s money will come to you later than you pay to your seller. This is why you need to have your own spare money to handle your very first orders! Don’t worry, it will all come back to you later. Plus, if your supplier is an AliExpress seller, remember that AliExpress doesn’t accept PayPal payments, so you need to store your spare money on a credit card. We hope this little guide is helpful for you! Research the payment gateways at your choice, integrate them into your store, and enjoy your fruitful drop shipping business! Hi, does paypal accept credit card transaction too? Yes, if a customer does not have a PayPal account they can pay with a credit card or debit card. Hi does aliexpress accept debit cards? Aliexpress accepts all debit and credit cards. It’s actually very good with payments because you can have a card from one country and ship goods to another, which is important when drop shipping. Also Aliexpress works fine with prepaid debit cards, gift cards and virtual debit cards, again this is very useful. If mu supplier is aliexpress whereby aliexpress does not accept paypal payment, so i have to use credit cards. I dont have credit cards, i only have bank mastercard debit atm card, so how am i going to pay you? I use my Visa Debit card on Aliexpress all the time. Mastercard debit should work just fine. Best way is to test it by buying something really cheap (like one or 2 dollars cheap) and see if it works. I gave PayPal the boot. A buyer tried to scam me by saying they never received their goods and did a chargeback for over 1000 euros. Paypal, without any warning, froze my account for 6 months, but still let buyers pay into it during checkout. I didn’t realize it was frozen for 2 days. I have to refund all transactions and shut my business down. Paypal, even tho so boast seller protection, will side with the buyer 90% of the time, even if the buyer is in the wrong. 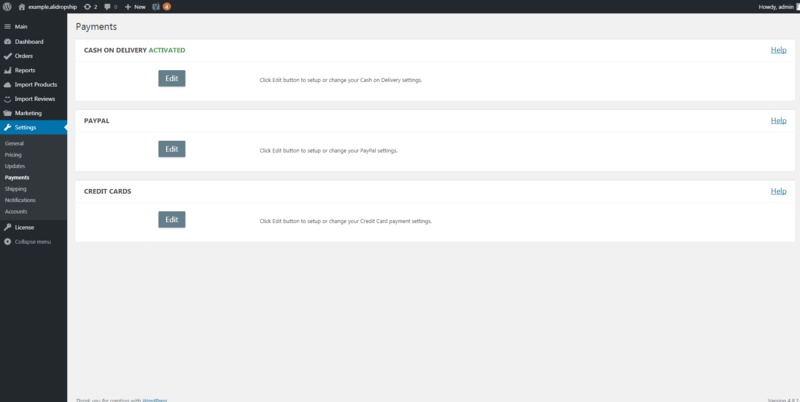 I have since used Stripe, and things just go smoothly now. Paypal is too much of a risk, especially for new sellers who start to make some money and get their account frozen while they send over verification, which can sometimes take days to verify. Part of which they will sometimes ask to see proof of in-stock items because PayPal doesn’t allow you to sell unless you have items at hand/in stock. If you had ensured a tracking code , PayPal would have helped your case. Without proof, customers can walk all over you! May it be a lesson :)).. When doing the PayPal integration, save some time and use the “search” feature to find “Seller Preferences”. After that it works just the way the article describes. BUT before yo do any of this you need a bank account and Paypal will send test transactions, and this can take 2-3 days to sort out; you want to get that stable before enabling payments on your site, or you may have angry customers on your hands. I have registered with paypal and discovered that someone in Nigeria cannot receive money via their platform. kindly recommend the payment gateways that works perfectly in Nigeria. their service should include receiving and sending money. Can I use debit card instead of credit card to buy a product from a supplier? Yes you can use debit card also. Has anyone tried to integrate PayPal Pro (accepting direct credit/debit card transactions on your site) instead of the “regular” PayPal?? It is a paid service.